We believe in the Glenrock Herders! Our athletics program is a source of school and community pride, and we welcome all to come on out and share in the excitement we feel at every competitive event. Your support matters, whether as a teammate, as a member of the booster club, or cheering our athletes on from the sidelines. 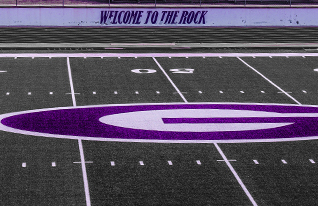 Glenrock HS is now a member of the NFHS network. With the additional technology that we now possess, we will be webcasting games from our football stadium and the GHS gym. The flyer below will give you information on how to purchase a membership to the NFHS network. This purchase will allow you to watch our Herders when they are at home, when they are on the road at other NFHS schools, and hopefully, on the road to non NFHS schools if CCSD #2 personnel are traveling to that site. All WHSAA state culminating events are on the NFHS network too, so you will be able to see live coverage of that as well. Our district will receive a part of your purchase price so that we can continue to add additional tech pieces to increase our coverage. We're proud of offering this new service to anyone who is interested. Please feel free to forward this flyer to friends and family to join in the fun. Whether it is the snap of the football, the swoosh of the basket, or for the rush of the run, get in the game! Check this page for current team schedules each season. All students who plan to participate in our interscholastic sports programs must submit a completed physical examination form to our office before we can permit participation in a school sport.